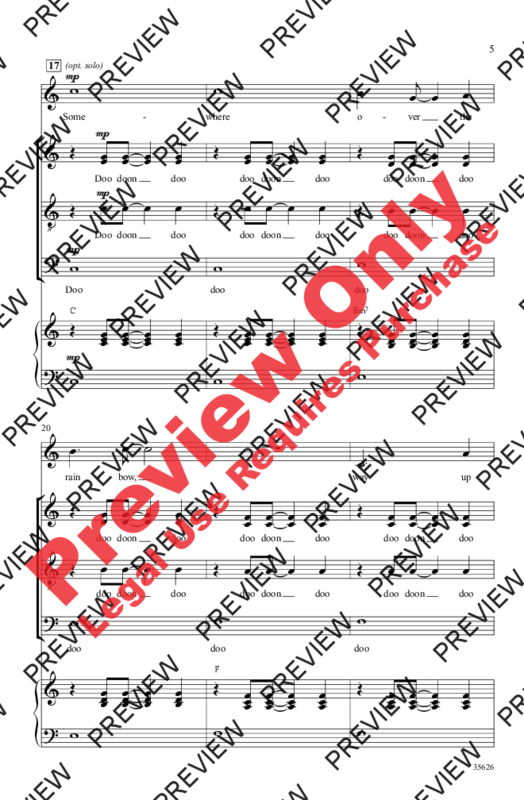 A cappella Israel Kamakawiwo'ole's Hawaiian-style interpretation of Over the Rainbow has been a big hit with today's youth. 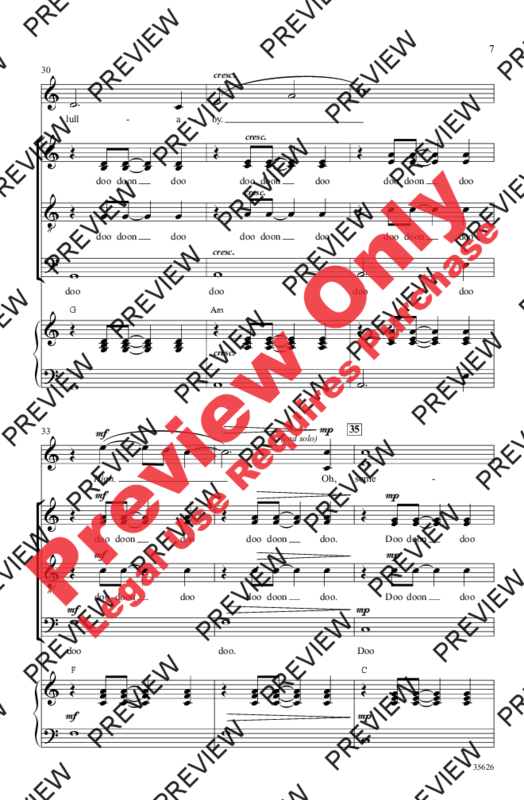 Performed in Glee's first season finale by Matthew Morrison and Mark Salling, the unique setting has also been sung by several American Idol contestants and featured in several TV shows and movies. 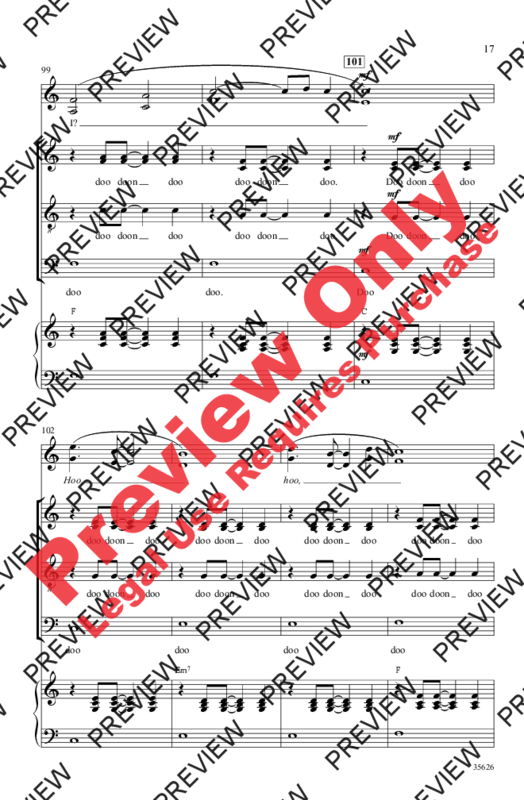 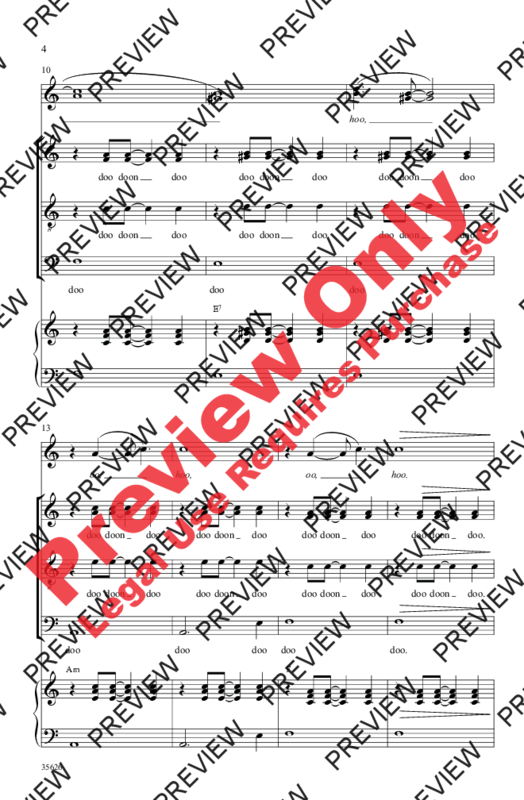 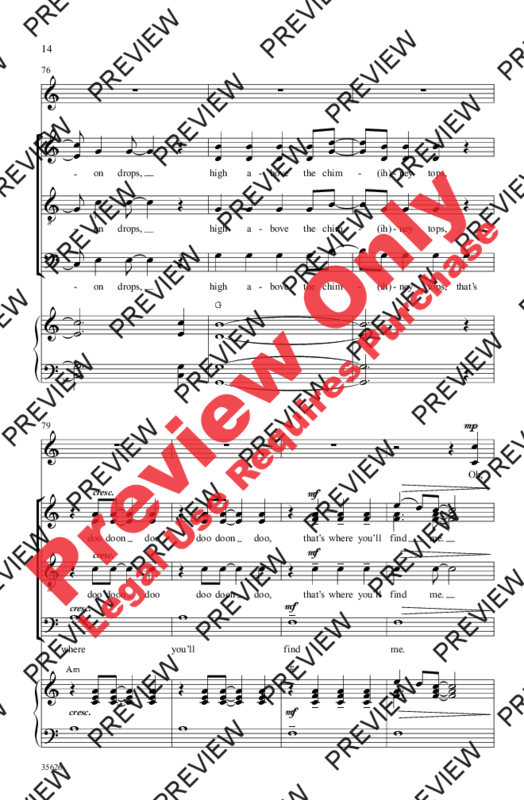 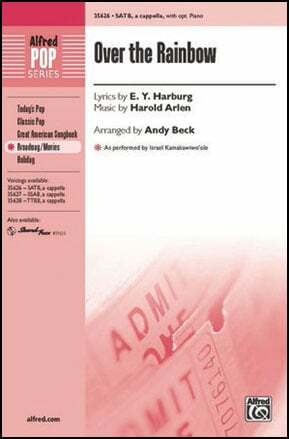 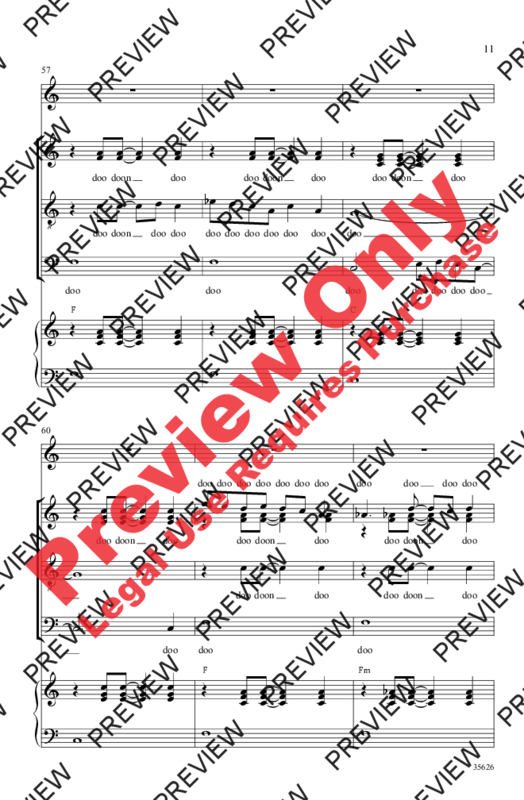 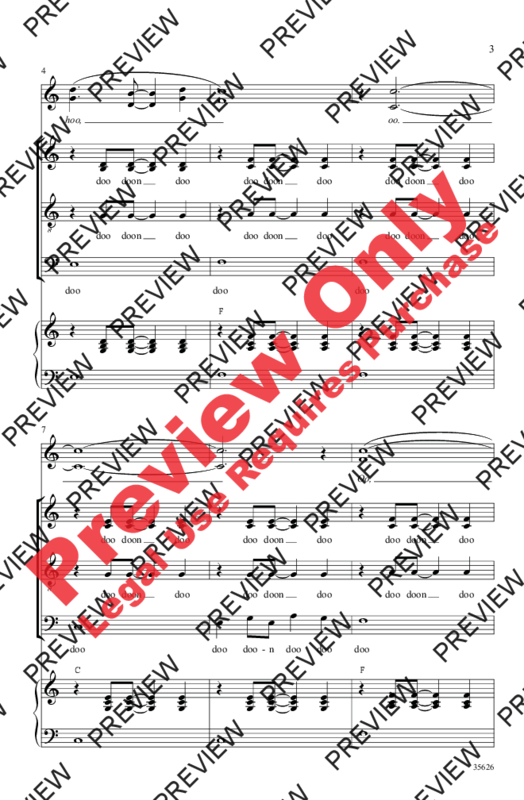 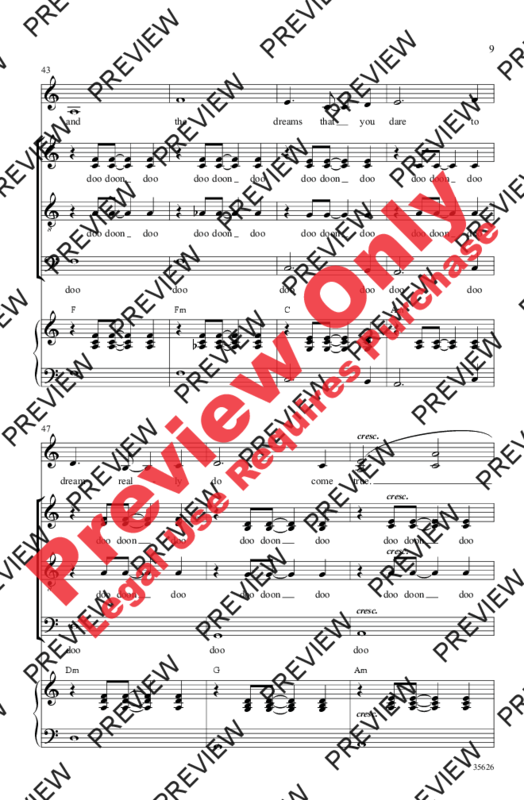 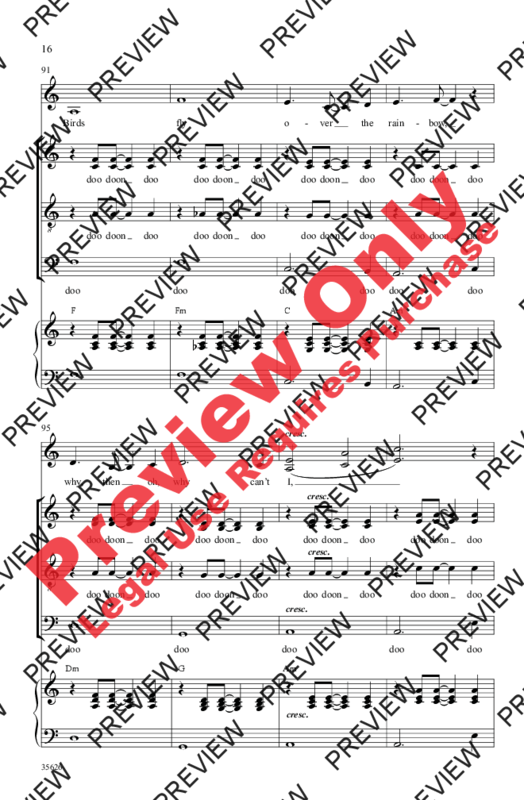 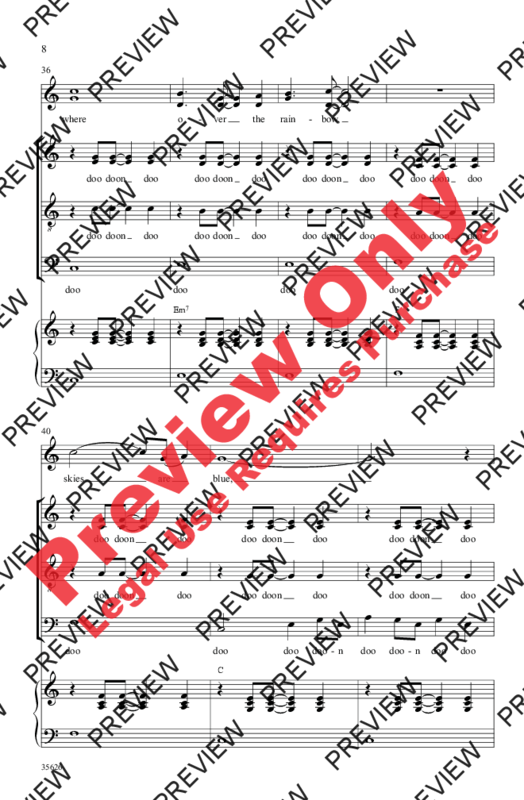 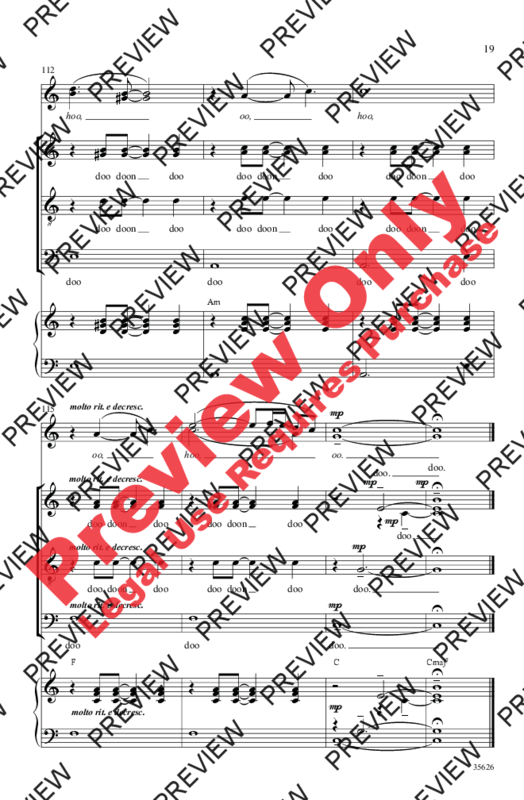 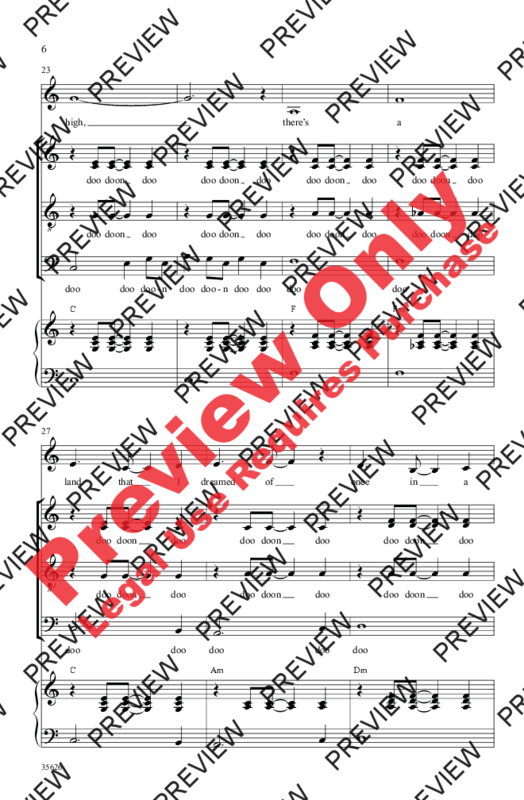 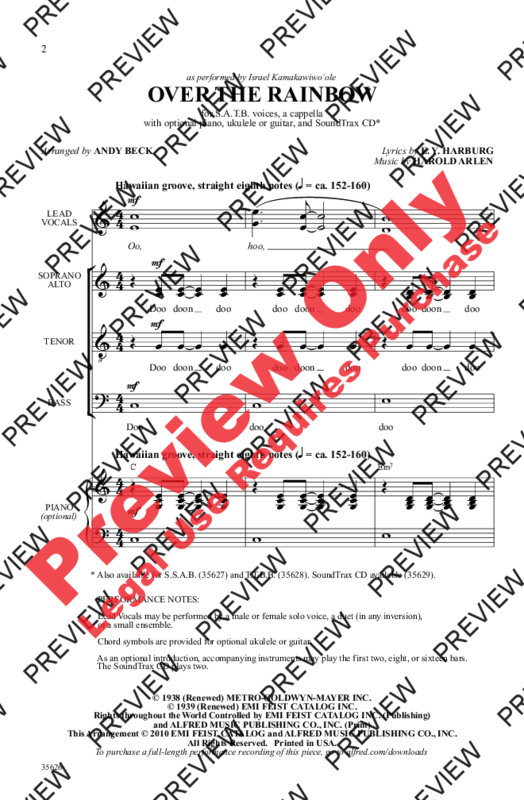 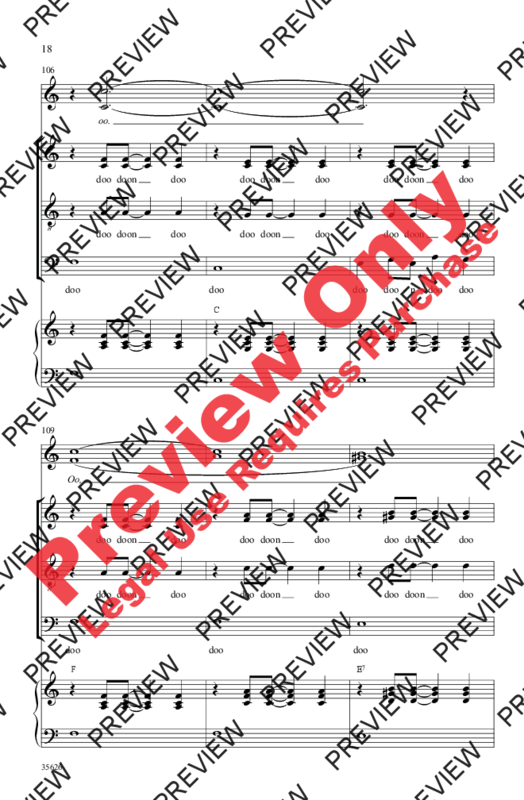 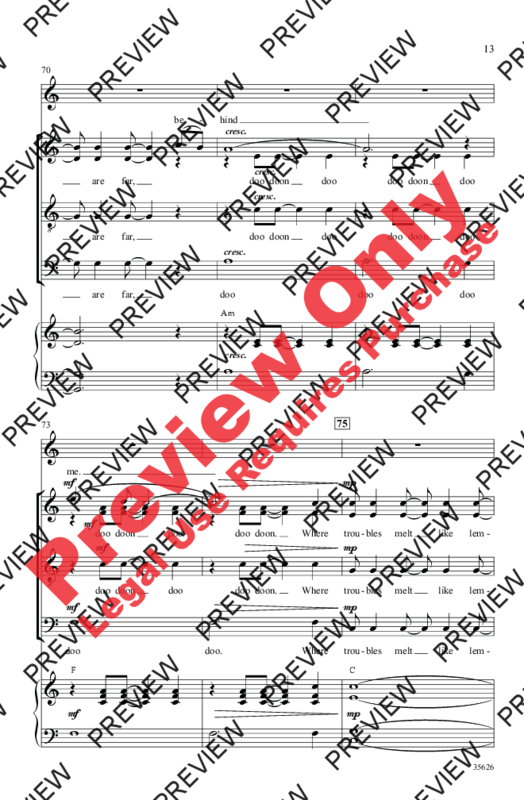 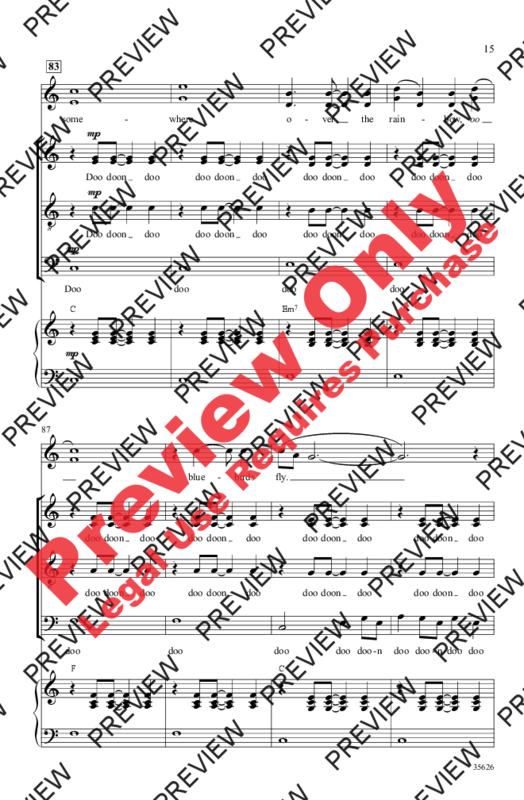 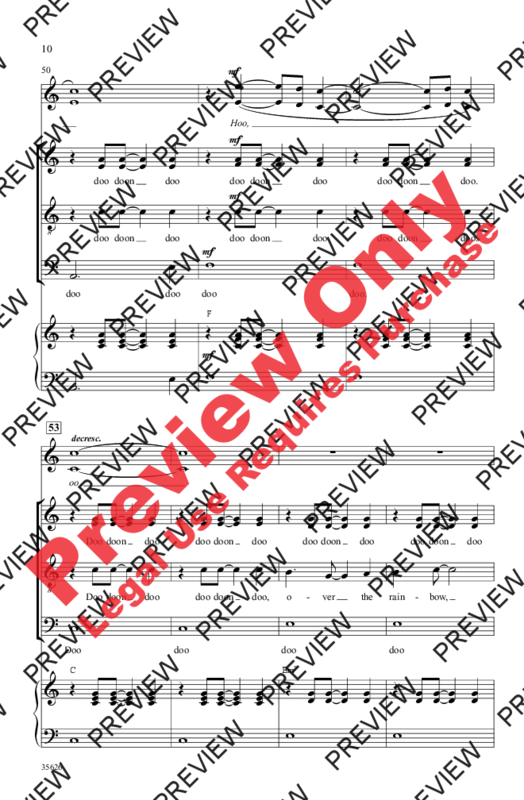 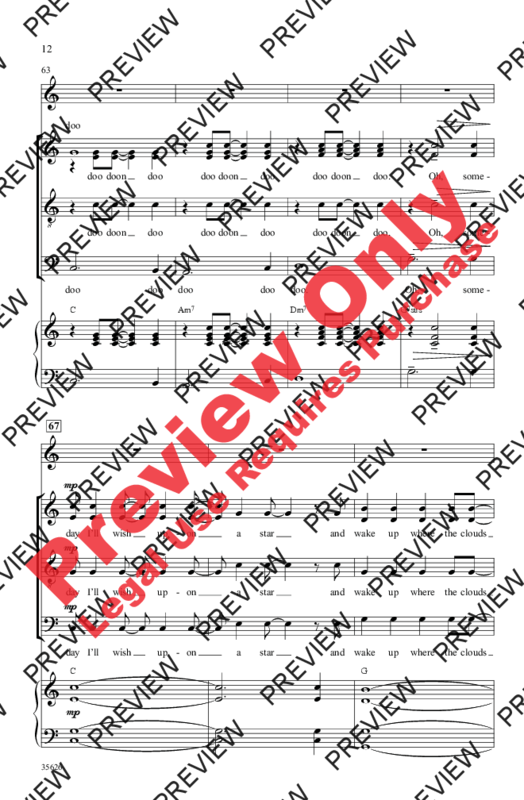 In this creative arrangement, the choir accompanies the soloist, duet, or small group, performing a cappella or with optional piano, ukulele, or guitar.